Kris Vera-Phillips is in Barcelona. She's exploring the sights and flavors of Spain. BARCELONA – I needed a break from standing around in museums. 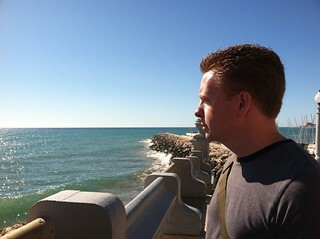 So, we jumped onto one of the roadalies (trains) out of Barcelona and visited the coastal community of Sitges. Beautiful weather by the coast. Mark rented sun loungers and an umbrella. Our little slice of a paradise. Sun-kissed sea breeze and a perfect view. I stepped into the Mediterranean for my first time. 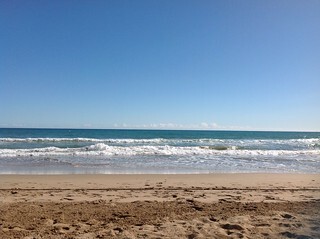 I could have spent the entire day jumping waves. Queenkv's Brainpickings » Blog Archive Colour on Jamon? Si! Copyright © 2019 Queenkv's Eurotrip Photoblog. Powered by WordPress.